The presents are piling, the fire is crackling, the drinks are flowing and in some parts of the world the snow is falling. From all of us at TechCrunch, we hope everyone is having a merry Christmas. For this week’s giveaway, we wanted to do something extra special, because well, it’s Christmas! The lucky winner of this giveaway will win a Nexus 4 and a Nexus 10. Want them both? Details to enter are below. The Nexus 4 is the brand new world phone from Google that comes with all of Google’s latest apps, including Google Now. You can read our review on the almost perfect phone here. 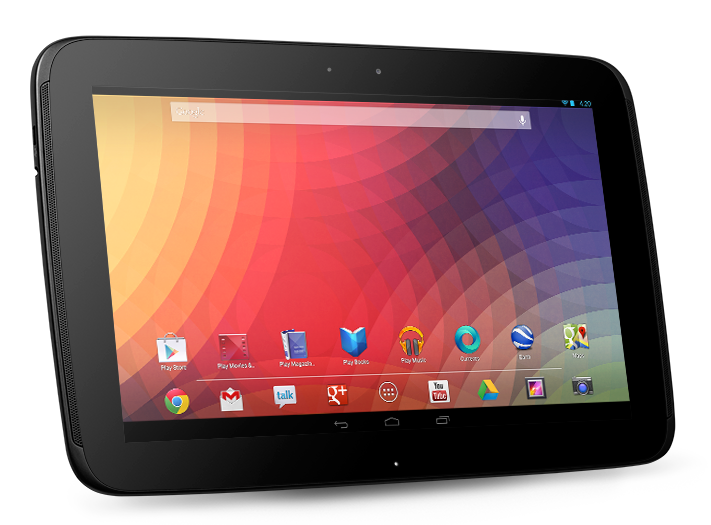 The Nexus 10 is the latest tablet from Google. Dubbed the “the ultimate tablet for watching movies or reading magazines,” the Nexus 10 runs Android 4.2 Jelly Bean, features front and rear-facing cameras, and much more. Please only tweet the message once or you will be disqualified. We will make sure you follow the steps above and choose our winner on New Year’s Eve night. Anyone in the world is eligible. Good luck everyone and merry Christmas! Update: This giveaway is now over. We will update this post once we have our winner. Update: Congrats to Sean Adams!